As CMC Group prepares to deliver Brickell Flatiron by the end of the summer, the developer is easing deposit requirements to attract more U.S. buyers. Ugo Colombo’s CMC lowered the minimum deposit to 30 percent, down from the market’s standard of 50 percent, and announced the Miami project received conditional Fannie Mae approval, which makes it easier for domestic buyers to secure conventional financing. 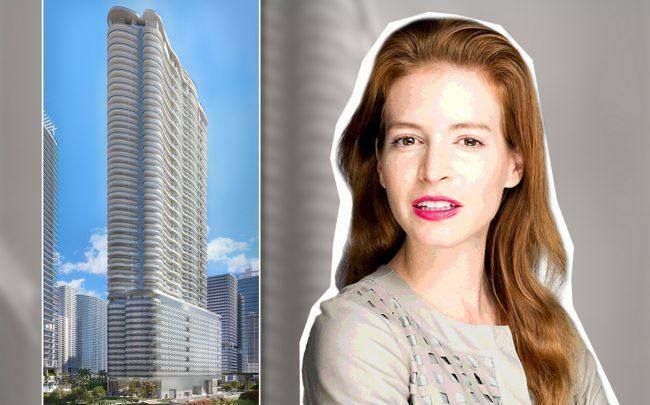 Brickell Flatiron, a 64-story, 527-unit luxury condo tower at 1001 South Miami Avenue, is 87 percent sold, according to a release. Sales so far total $475 million, Vanessa Grout, president of CMC Real Estate, said. Remaining units range from about $490,000 to $2.5 million, with one penthouse left asking about $8 million. Fortune International Group is handling sales. “We’re getting a lot of local buyers who are relocating from neighboring older buildings and buyers from higher tax states,” Grout said. U.S. buyers have purchased units totaling $290 million in sales since the project launched in 2014. “Most domestic buyers find us on the internet,” Grout said, adding that a substantial portion of the project’s marketing budget is spent on online advertising. In 2017, CMC took out $236 million in construction financing, including $138.3 million from Bank of the Ozarks (now called Bank OZK), for Brickell Flatiron. Grout said the developer will have sufficient sales closings to cover the loan once the building is delivered, which was a factor in the decision to lower deposits. Developers with few remaining units are often easing deposit requirements as they complete their buildings. The Related Group, Melo Group and NR Investments have all done so for projects in Brickell, the Arts & Entertainment District and other parts of Miami. Brickell Flatiron, which was designed by architect Luis Revuelta, will be among the tallest towers in Miami at 736 feet. The condo tower will feature interiors by Massimo Iosa Ghini of Italy’s Iosa Ghini Associati and amenities that include a rooftop spa, pool and gym, a theater, billiard and cigar room and a wine cellar.